Great place, great community, best tutors!! Thank you!! I can't think of a better way to spend my Friday's :) Thanks so much to Jo, and the lovely crew that use the outdoor workshop, for sharing their skills in such a relaxed manner, it's been really nourishing. This course was brilliant. 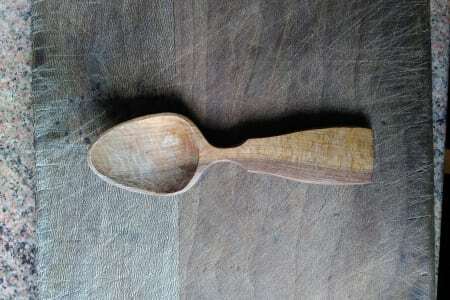 It is based around learning basic carving skills, but you make lots of stuff as well as a part of that (spoons, butter knives, scoops, spatulas etc). 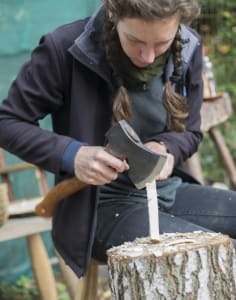 Jo takes you to a level where you can confidently attempt projects of your own in a safe manner, and deals with axe work, hook knife, straight knife, draw knife, and a few other things (gouges, sharpening, aspects of design). I really feel like I've been taught the basic approaches and techniques of a craft in quite a short time, and can now go forward and practice them. Each Friday was the highlight of my week, and I look forward to returning to the workshop as often as I can in future. 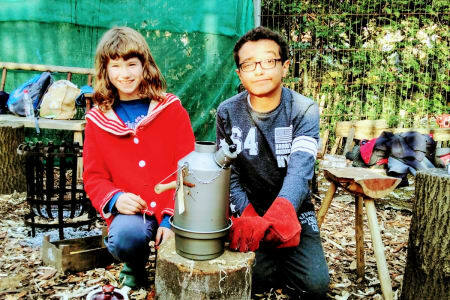 The atmosphere at the workshop itself is a really potent antidote to living in a big city, and it feels like you're dipping into a wonderful community of people who are keeping a set of skills alive and in use even in London. Highly recommended to those who wish to deepen their knowledge of green woodworking beyond just making a single item. Really enjoyable day learning new skills working with an Adze and using an axe to carve a rustic bowl . Plenty of excellent tuition from Jo. Great experience, definitely plan to go back. Lovely activity & lovely location. Fantastic. Lovely surroundings, and nice to do something calming and learn a new skill! 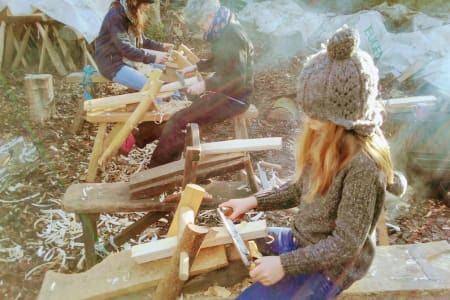 An inspiring afternoon workshop from which we not only took away our wooden creations but sound knowledge of types of wood and safe whittling tips. Getting to work on the 'shaving horse' with a two handled knife was an added bonus. Great to be outdoors working with our hands - we loved it! Thank you. It was fantastic! Jo showed us, in stages, what we needed to do and let us get on with it. My son, Harry, loved it because he was able to be really hands on with the tools and you also get to take your piece home with you at the end. I especially loved it and we are now looking forward to our next workshop together with Jo. Highly recommend London Green Wood CIC and Jo for her lovely calm and informative approach. Both 9 year old Dermot and his grandad loved the session and plan to book another one very soon! 5 stars! My 7 year old had a fantastic time in family whittling! The only downside was the cold, it was 2 degrees and felt a bit too cold to spend that much time outside. But we did have a fire to help. Another great class from Jo. Was very useful for improving knife skills and getting more familiar with cutting with the grain. Small group which means you get lots of support from the teacher. Great setting in lovely Abney Park Cemetry, with a little fire and hot drinks to keep warm in winter. This was an amazing day. 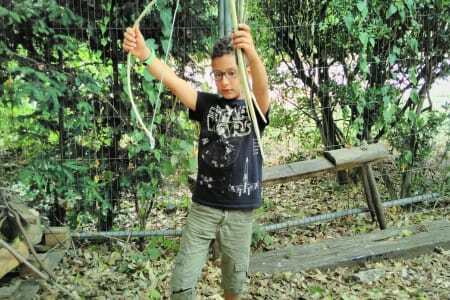 I did the workshop a week after my Mum died and found a lot of peace in the connection with nature. The tutor was lovely - engaging, patient and talented. I highly recommend it! Absolutely brilliant! I hope to come back for more. Fantastic day with a great tutor, I went away so much more confident to use a knife safely and understanding how to work the wood. I'd recommend these classes to anyone, even if it's a one off activity or to learn new skill. Jo was an excellent teacher and host. I'll definitely be back again. Day one of a one-day-a-week course done and it was great. Small group, great teacher - I have already acquired a huge amount of knowledge! Fantastic, inspiring, workshop with great teaching and friendly students. 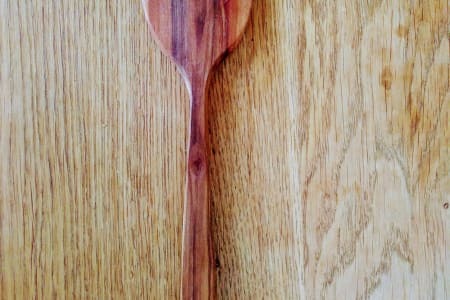 Learned lots of practical skills and I love having breakfast every morning with my hand carved spoon! Really great course . Jo is a very good teacher - relaxed, but full of instruction. We all got to learn different techniques, and how to use tools and devices which are specific to green woodwork (and not available in any diy store). I would definitely recommend this course. Really fun classes, I hadn't ever picked up a spoon knife before and this got me slightly addicted! I found this course very well resourced and organised with a relaxed and encouraging atmosphere. The location is second to none for a course of this type in London -it was wonderful to be working under the trees and the weather was kind Jo is a patient and knowledgable teacher providing clear instructions of safe working techniques and there is plenty of opportunity to practice sharpening and the opportunity to work individually and together . Added bonus is that past students also attend on Thursdays to work on their own projects so plenty of opportunity to pick up tips from more experienced students. I hope to be able to join in Thursday community access sessions from time to time. 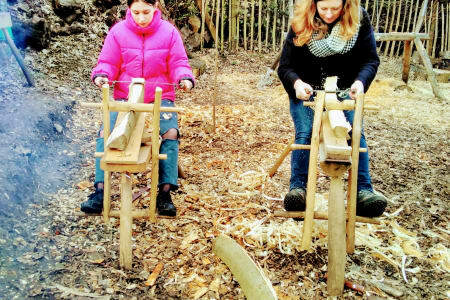 A brilliant course for people with little or no knowledge of woodworking. By the fourth and final session, we had acquired enough basic skills to cut down a piece of hazel and for each of us to turn a section of it into our own wooden spoon - immensely satisfying! The introductory course is brilliant. Though it’s very relaxed you’ll earn how to make a range of different thing and you’ll come away with plenty of finished pieces. As well as a great teacher in Jo, you also get the support of a super helpful community of makers that use the space. I’ll be going back for sure - I’m currently shopping for tools. Great course. Attentive tuition, friendly people, lovely setting for the workshop. I'll be going back for sure! I would fully recommend this workshop, for Jo’s very gentle, knowledgable direction, the well organised stages of getting you going and keeping your attention on task (a challenge with three children) and the huge satisfaction of making something truly beautiful. All six of us who attended felt it was a a wonderful way to spend a day. 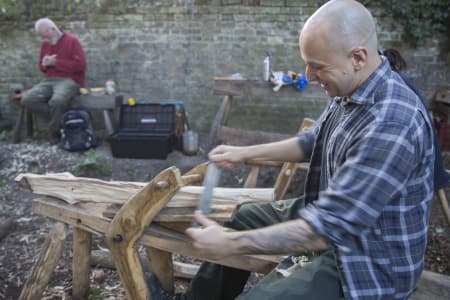 The bowl carving workshop takes place outside in the peaceful surrounds of the cemetery at Stoke Newington. Jo the workshop leader has infinite patience and a great deal of knowledge that she is happy to share. A cup of tea, a chat and a chocolate biscuit whilst taking a break made for a great day. Wonderful workshop! Skilled teacher giving thorough explications and tips, high quality tools and a step by step approach to reach our goal and carve beautiful bowl! 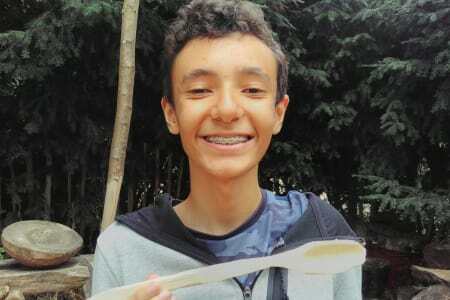 I highly recommend this course to anyone who wants to know how to carve and also how to safely use the different tools. An enjoyable experience! Another brilliant workshop from London Green Wood. Excellent and patient tuition from Jo, a great atmosphere and very lovely biscuits. Would recommend! First rate teaching from a first rate teacher. Great day of learning and activity in a superb setting inside Abney Park cemetary in Hackney. Will go back for more. Jo, the tutor, is amazing - so knowledgeable and patient. The class was just fantastic from start to finish! It was so beautiful to be outside all day and the fire and ever replenishing cups of tea kept us warm when we weren't working hard. I would recommend this to anyone - I had the best day. I couldn't stop smiling and looking at my bowl all evening! 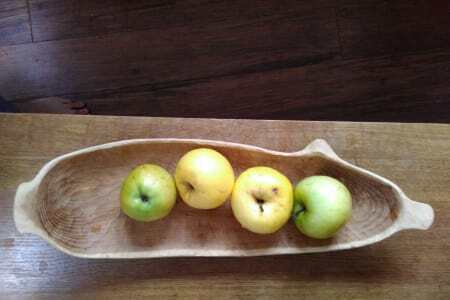 I very much enjoyed the Bowl Carving workshop yesterday. It was wonderful to be working outdoors, in the beautiful surroundings of Abney Park. There were five of us doing the workshop with instructor Jo and volunteer helper Paul and all the work was carried out in a friendly and relaxed atmosphere. 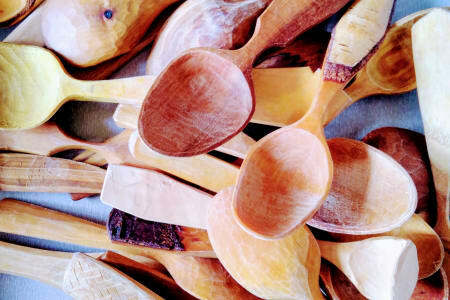 The bowl carving workshop gave us an excellent introduction to the use of different tools for working with green wood. Jo was an excellent instructor: she kept an eye on us all and gave instruction without being intrusive, with little bits of help here and there where necessary to ensure we would have a completed item by the end of the day. I will be coming back to London Green Wood for more! Great day spent carving a bowl. Hard work paid off thanks to excellent teachers. Hard to believe I was able to turn a log into a bowl in a few hours with no previous experience. Jo guided the group expertly, adapting the demonstrated techniques according to dexterity, physical capability so everyone had a bowl to be proud of at the end. I'd recommend this course. It was a very therapeutic day outside, regardless of the rain.